Here are the Week 7 rankings for the 2018 Florida high school football season from FloridaHSFootball.com. 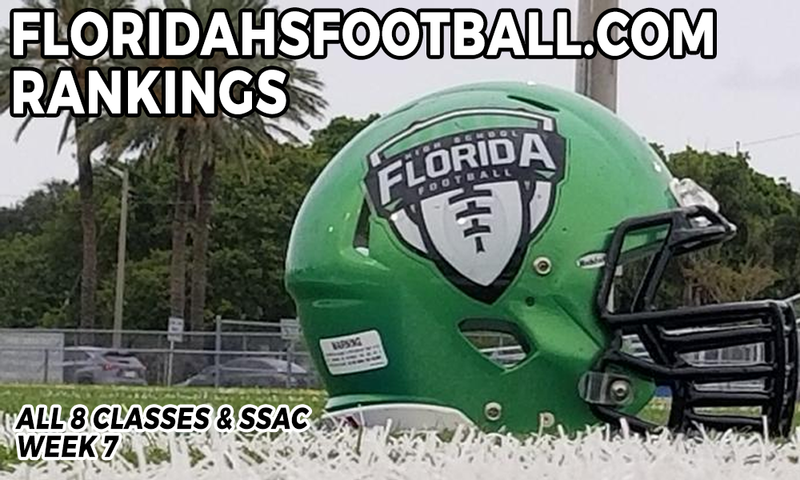 Rankings are compiled by FloridaHSFootball.com publisher Joshua Wilson each week with emphasis using the most recent results, the strength of schedule, historical expectations (preseason only), as well as potential expectation in future games. Starting this season, we are proud to introduce a Top 5 ranking each and every week for the Sunshine State Athletic Conference (SSAC). Although SSAC teams will be ineligible for the Sunshine State Top 25 rankings, we recognize that the conference has grown strong the last few years and we believe the timing is right to introduce a ranking for the teams that are part of the conference.